" This is a great site! I am very pleased to know there is a Christian company where we can go to buy Christian entertainment. I love the reviews!" There is no forgiveness without repentance. There is no salvation without surrender. There is no life without death. There is no believing without following. 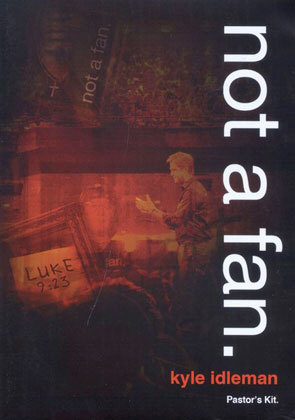 NOT A FAN is a serious small group study that powerfully communicates this challenging but central message of the Gospel, and the Pastor's Resource Kit is designed to help you as a pastor in your mission to raise up a generation of Completely Committed Followers of Jesus. If you're ready to lead a movement of first century-like Christ followers, then dig deep into the NOT A FAN™ Small Group Materials, and take your church on the journey. Thought-provoking 42-day Follower's Journal designed to assist you on your journey from fan to follower. Format: DVD - Region 1 & Book What's a Region Code? ONE. One Hope. One Truth. One Way. Start the Revolution... Be the One! A four-week study designed to help students develop an unwavering faith and trust in God. Testimonies of God's love, grace and truth from Christians personally affected by LGBT identity and issues. What does it mean to die to yourself?